Interactive TV channels are usually pay per program channels that feature special events and movies. 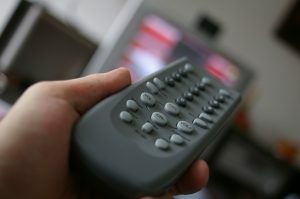 Viewers are offered the option to select a program of their choice. Some interactive channels have a multi-panel format and feature upcoming shows and on-air promotions. There are different types of television, including close-circuit interactive television, interactive TV services and interactivity with TV-related and TV program content and with a TV set. Examples of interactive TV services are Philips Net TV – solution, MSN TV, BBC Red Button, Interactive TV Purchasing System, and others. Interactivity with program content is a second type that offers viewers the chance to interact by controlling characters, participating in live shows, sending text messages, and a lot more. Examples of interactivity with program content include Hugo, Accidental Lovers, and others. Interactivity with a TV set is a third variety that offers a wealth of options, including ad and commercial skipping, fast forward, rewind, video-on-demand, and others. Finally, interactivity with TV-related content offers viewers the chance to get information about what is currently on air, including news, series, shows, sports, weather forecast, and so on. What all these types have in common is that they all offer a degree of interactivity such as video within video, graphics on video, data on video, etc. The main goal is to offer programming content based on viewers’ requirements, needs, and preferences. To this, production studios work to develop communication platforms that allow consumers to participate instead of being passive viewers. Featuring videos, computer animation, and films shot on film, BiteTV was an interactive TV channel that was first launched in 2001. The focus was on online participation and on-air interaction. BiteTV featured amateur videos, animation, gaming, videography, and comedies. “The Crawl”, a feature aired on BiteTV offered a combination of programming updates, weird laws, pointless facts, and more. The channel was rebranded in 2015 as Makeful, featuring French Collection, Fix It & Finish It, and Miguel’s Feast. Other shows that are currently on air include Crazy Beautiful Weddings, Landscape Artist of the Year, Portrait Artist of the Year, BBQ Crawl, and Best Cake Wins. The online platform also features must reads and stories in different categories, including weddings, wellness, news, astrology, food, careers, décor, style, and others. Viewers have plenty of choice, whether articles and stories or shows such as Craft It Yourself, The Great Pottery Throwdown, and The Great Interior Design Challenge. ITV and BBC Worldwide announced plans to launch BritBox, which is a subscription video-on-demand television featuring drama series, short dramas, classic shows, soaps, news programs, and more. Viewers are offered plenty of choice – Casualty, Holby City, Emmerdale, Prime Minister Questions, the Papers, Ant & Deck Saturday Night Takeaway, and more. Canadian premiere series will be aired as well, examples being Cold Fleet, Reg, and Silent Witness. Silent Witness is a procedural drama produced by BBC and starring David Caves, Tom Ward, Amanda Burton, and Emilia Fox. BritBox also features sitcoms, series, and long-running series such as Keeping Up Appearances, the Doctor Who Spin-Off, and Classic Doctor Who, to name a few. In Canada, BritBox is already available through Roku, Chromecast, Apple TV, android tablets and phones, iPad, iPhone, and online.